And I love this book too. Hubby surprised me with this one the other day! It basically covers all types of breeds, divided up into the different dog "classes" (working dogs, sight hounds, scent hounds, etc). Each breed has several pictures, highlighting the identifying characteristics -- type of fur, ear shape, snout and muzzle shape, coloration. It also goes into the personality and temperament of each breed. 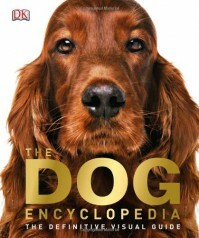 There was some general information about training and caring for dogs, but the main attraction of this book was the in-depth look at the different breeds. Thanks to them, I now want all sorts of exotic dogs that I'll never be able to afford. We mostly have been looking at the different breeds (sight hounds mostly) to see if we can figure out what our dog Buddy is. 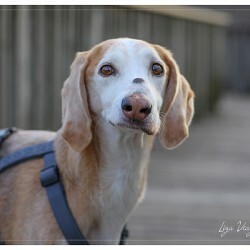 He's sort of whippet/saluki-ish, but I don't think he's anything quite that exotic.